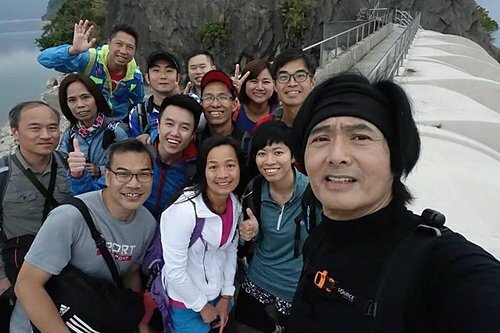 In contrast to the vast majority of superstars, Chow Yun Fat (周潤發) has a very simple lifestyle, spending only $800 HKD a month despite his massive wealth. Having been in the industry for over four decades, Chow Yun Fat has accumulated a huge fortune and his net worth is estimated to be at $5.6 Billion HKD. One might think that with this fortune, Chow Yun Fat lives a very luxurious lifestyle, that consists of driving nice sports cars or residing in lovely mansions. 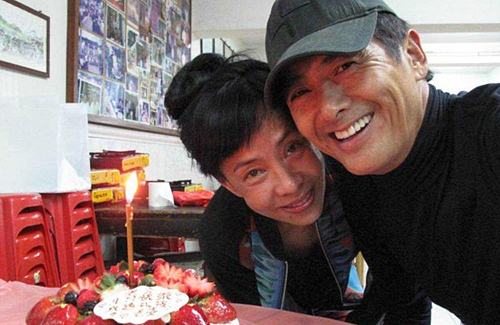 Instead, Chow Yun Fat is shown to be fairly frugal – often opting to take public transit and doing charity work instead of spending money on himself. Instead of focusing his time on material matters, Fat Gor spends his free time on healthy habits such as hiking or going jogging. Often times when he is recognized while jogging, he happily poses for the cameras. Above: Chow Yun Fat spotted jogging by fans. Chow Yun Fat might be considered a little more frugal, compared to other celebrities who waste their money on fancy cars and a variety of luxury material possessions which they don’t need, but he still resides in his billion dollar home. A person who lives in a mansion is not considered a frugal lifestyle. I wonder what’s the breakdown of that 800HKD, is that just for normal daily life like transit and stuff? That would be possible, since I think it’s 2 HKD for elders to use the transit.